This seagull seemed to be taking the job seriously. Photo taken at La Jolla Cove in San Diego, California. It's fun spotting little ironic situations to photograph. 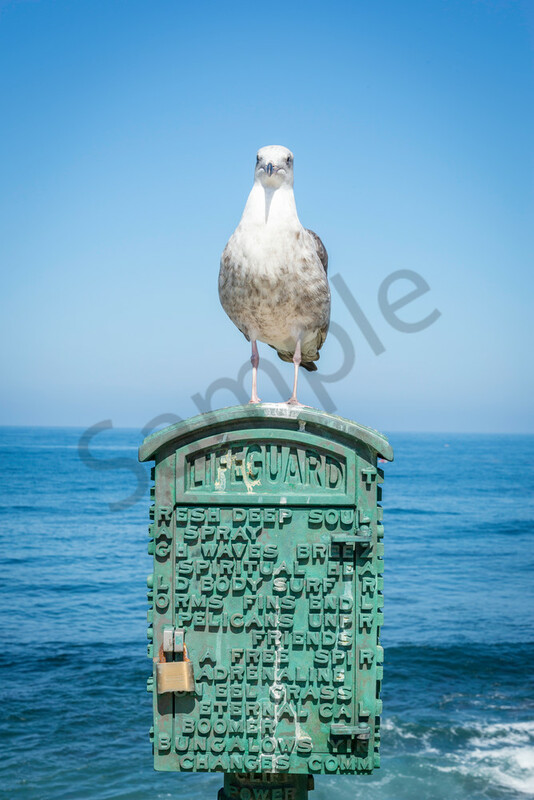 I loved the way this seagull was sitting on the lifeguard call box. The bright full sun of the early afternoon isn't always the best for getting photographs, but I like the way this one came out with the contrasting greens and blues. Perfect for a beach-themed den or playroom!